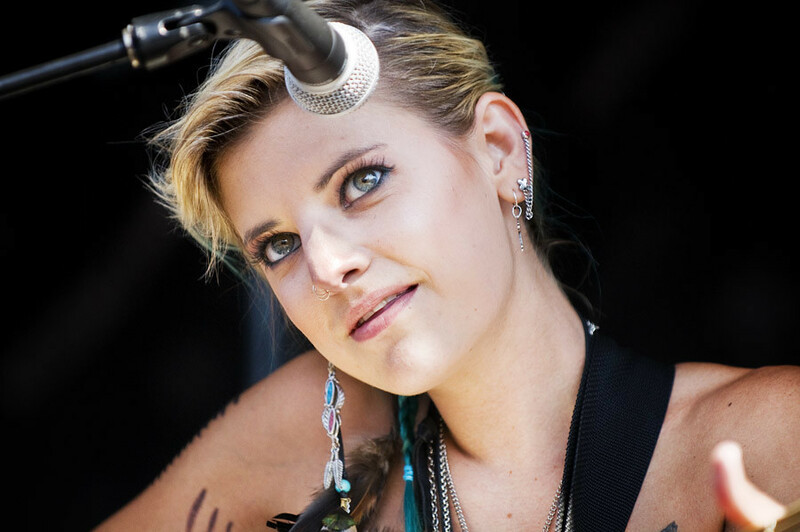 JULIET SIMMS RELEASES NEW SINGLE "A Heart Doesn't Beat On Its Own"
Juliet Simms performs at Vans Warped Tour. The Voice's second season runner-up Juliet Simms has just released her new single "A Heart Doesn't Beat On Its Own." The song, first posted on her band's Automatic Love Letter Facebook page, is a song of the heartbreak of a crumbled romance and the hard decision of leaving. Simms, known for her powerful and weathered voice shows her soft and vulnerable side as she sings of driving away. As in so many relationships, just like in real life, we drive this so-called 'road of life' driving forward as we look at our rear-view mirror of what we left behind just like in Simm's touching song "A Heart Doesn't Beat On Its Own." "Every inch, every mile, reminded me of the vacancy, next to me where you used to be. How could I say goodbye?" Juliet sings struggling though her most difficult decision and then ends this rock lullaby with "It's a lonely road when you're leaving you're only home. I can't believe that I let you go...I know a heart doesn't beat on its own." Juliet Simms just finished her tour on Vans Warped Tour and since finishing second on NBC's The Voice, she has signed with Republic Records and her Voice mentor, Cee Lo Green is now managing her career. Check out her new single below.